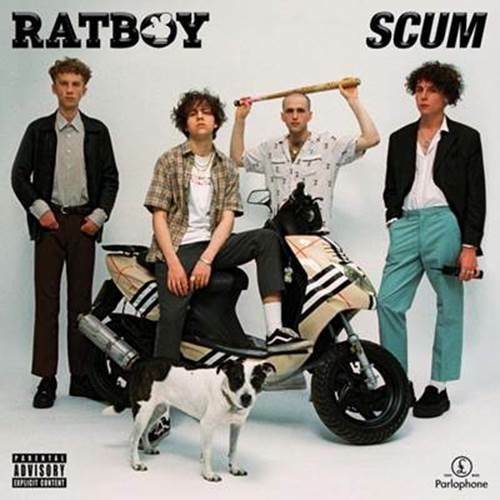 Fresh from selling out London’s Roundhouse and being sampled on Kendrick Lamar’s huge album DAMN., RAT BOY will release his eagerly anticipated debut album Scumon August 11, with the album pre-order available now. The release of Scum represents the first major landmark in a career that has already seen RAT BOY win Best New Artist at the NME Awards. He also recently contributed music to Aminé’s film ‘Becoming Aminé’ alongside Tyler, The Creator. Scum finds RAT BOY – aka Jordan Cardy – exploring relatable themes of his and his friends’ experiences growing up disillusioned in suburban Essex. While the album is united by such concepts, musically RAT BOY jumps at will between hip-hop, punk, indie anthems, gospel, big beat and bossa nova like the Beastie Boys for the Brexit generation. The collection shows RAT BOY’s evolution as a producer and lyricist with several tracks that are established staples of his riotous live show. An early version of Sportswearfirst appeared on his self-released mixtape from 2014, while other key tracks from his rise to date that appear include the breakthrough single Sign On, follow-ups Fake ID,Move and Get Over It through to the recent single Revolution. The newest track on Scum is the Blur-tinged I’ll Be Waiting which RAT BOY wrote with his live band and added to the album at the last minute. In fact, two members of Blur feature on the album after RAT BOY met them while working at Studio13 in London: Graham Coxon contributes guitar to the mellifluous love song Laidback, while Damon Albarn plays keys on Turn Round M8 and Get Over It. Albarn also “helped to vibe on a couple of the tracks to help make sure I was going in the right direction,” says Cardy. Another guest comes in the shape of Mallory Merk, the en vogue model and musician who has been championed by Marc Jacobs and Kanye West. The result is Sad Sad, a dreamlike haze which sets her feminine tones next to RAT BOY’s Essex-accented vocal in a track which is inspired by France’s influential jazz-funk-fusionists Cortex. To unite the album’s scattergun approach to genre, RAT BOY created a series of short interludes which give Scum the atmosphere of an anarchic radio station. The DJ was played by voice actor Lloyd Floyd, who is best known for voicing a huge selection of characters in the immersive world of ‘Grand Theft Auto’ – Cardy credits ‘GTA: San Andreas’ as a game that first ignited his interest in music. RAT BOY and drummer Noah Booth headed to The Beastie Boys’ Oscilloscope Studio to work with Floyd, and Trump Towers was one of the interludes they created after seeing anti-Trump protests in New York City. The album title Scum was coined during the first rehearsal of the RAT BOY live band and shares its name with RAT BOY’s clothing brand. Scum will be released digitally, as well both standard and deluxe CDs, and a vinyl version of the deluxe album. Limited edition merch items including exclusive t-shirts and socks will also be available to pre-order alongside the album.